Iran has started supplying its crude oil to the private sector through its energy bourse, a local market which provides Iranian and foreign tradesmen with a chance to purchase Iran’s crude oil and export it to the international markets. This marks a turning point in Iran’s contemporary history as supplying oil used to be a privilege at the hand of the government before and after the Islamic Revolution in 1979. Now, it seems a dramatic development is unfolding in Iran’s economy which is mainly dependent on oil revenue. Many believe that the new development is one of the byproducts of the US sanctions which are aimed at reducing Iran’s oil exports to zero. The US is set to re-impose its second round of unilateral sanctions on November 4. Now, for the first time over the past seven years, Iran has managed to sell its crude oil through Iran Energy Exchange (IRENEX). On Sunday, a total of 280,000 barrels of oil was sold through the IRENEX at a rate of $74.85 per barrel. According to the latest report by IRENEX, the country has already put up for grab a shipment of one- million barrels of crude oil. 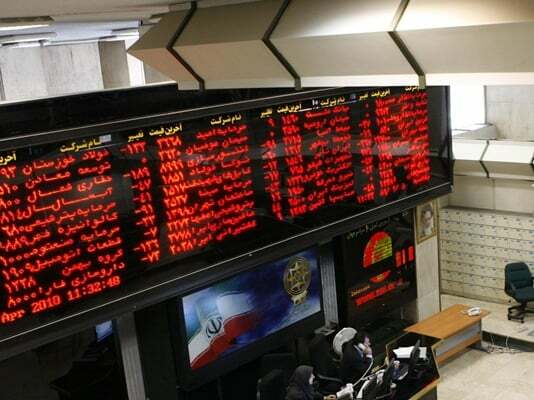 “Today, four Iranian firms provided a trading code to take part in the transaction run by the International Circle of the Iran Energy Exchange after depositing ten percent of the whole shipment price into the banking account of the Central Securities Depository of Iran,” said Fariba Akhavan, Chief Operating Officer at Central Securities Depository of Iran, as quoted in a report by Fars News Agency. Three oil purchasers expressed their preparedness to take part in the transactions including a multi-national firm. A growing number of applicants have rushed to register their names to participate in the transactions. The trend has temporarily made CSDI’s website out of reach. Finally two proposed prices were registered by the participants for purchasing a one-million-barrel shipment. At present the highest proposed price for a 35,000-barrel shipment stands at $62.4 for each barrel. Another proposed price stands at $61.85. Now, we should wait and see if the National Iranian Oil Company (NIOC) would lower its base price ($79.15) or not in response to the current demands. The NIOC decreases its base price to $74.85 per barrel. Now, the number of applicants has increased considerably and at least 8 applicants have registered their names. The applicants offered their prices ranging between $61.85 and $69.82 per barrel. One of the applicants offered to purchase eight 35,000-barrel shipments at $74.85 per barrel and bought them. Two other applicants called for a 35,000-barrel shipment at $65.55 and $68.56 but failed in its bid. Three Iranian brokers of Parsian Bank, Refah Bank and Khobregan were agents of the firm which purchased 8 shipments of the Iranian crude oil through IRENEX. Khobregan Saham affiliated with Oil Industry Pension Fund purchased 140,000 barrels of crude oil through IRENEX. The two other brokers – Parsian and Refah – managed to purchase the remaining 140,000 barrels of oil. Given the successful transactions made through IRENEX, Iran managed to break the spell and sell its crude oil through the exchange after seven years. Reports say supplying other one-million-barrel shipments will keep going next weeks in one single shift. Reports say private companies with no affiliations to governmental organizations are the purchasers of Iran crude oil.